So like it’s been forever (2 weeks = forever in the drama queen dictionary), since we’ve chatted, and I have loads to tell you… I took a week’s leave last week and it was lovely. Have you tried the red bus in Cape Town? If not then it’s a must, and if you have, then well, let’s go again. What a fantastic adventure for the minions and I. There are 4 possible routes (all open top red busses) namely the Red Route which involves a tour around the city centre, the Blue Route which involves a mini trip around the Peninsula, the Purple Route is a little wine route in Constantia and the Yellow Route which takes you around Bo-Kaap. If you buy one ticket you can hop on and hop off these busses as you wish for the day. The Routes are interlinked so what the minions and did is started with the Red Route, hopped off at Stop 5 in Long Street, and hopped on a connecting bus on the Blue Route. 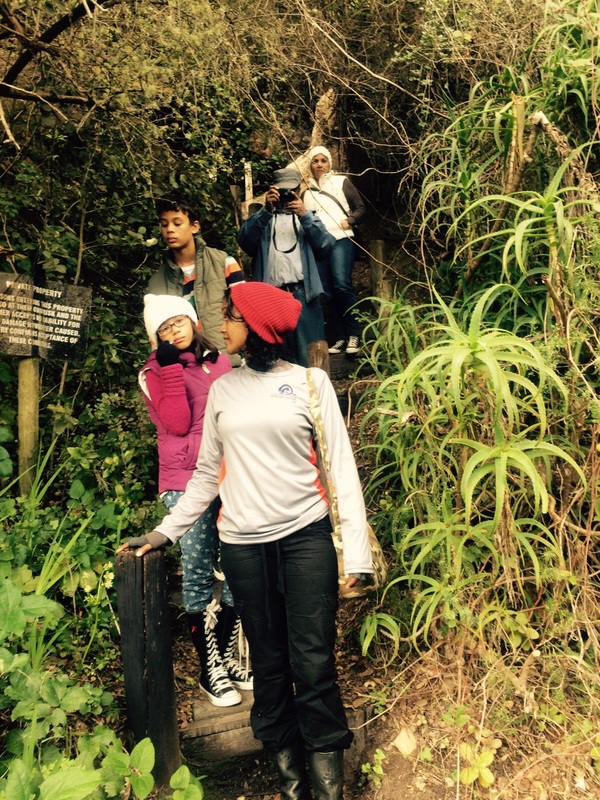 We hopped off at Kirstenbosch Gardens, had lunch and went for a walk, then back on again, around Hout Bay and hopped off at Camps Bay for dinner. 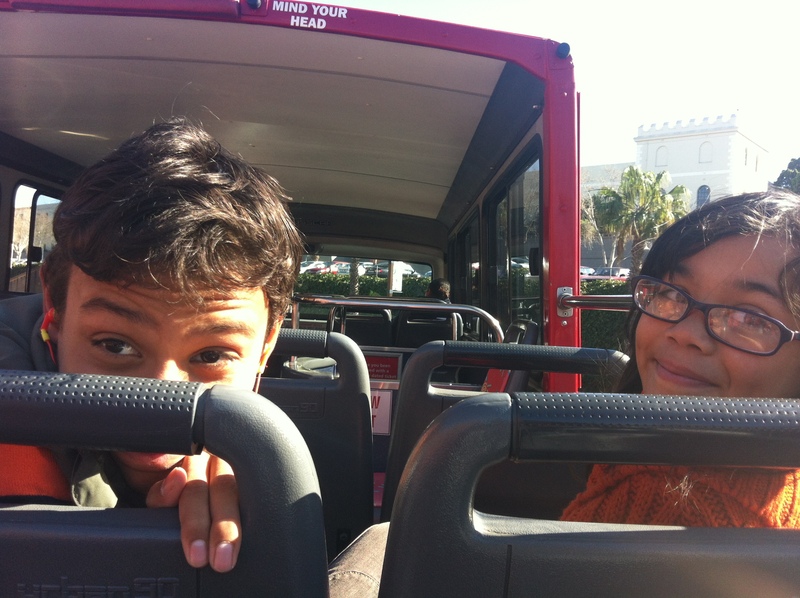 Finally hopped back onto a Red Bus which took us back to the V&A Waterfront where we originally caught the bus. It was a fantastic trip. Like the International City Tour busses, it was a guided tour, however as opposed to a real life tour guide, each person who buys a ticket gets a set of earphones which you plug into a port in the bus. Thus as the bus passes the different landmarks situated on the route, you get running commentary as you would with a real life tour guide. It was entertaining, informative, educational but most of all FUN!!! Give me a shout if you want to go sometime and I’ll definitely join you. 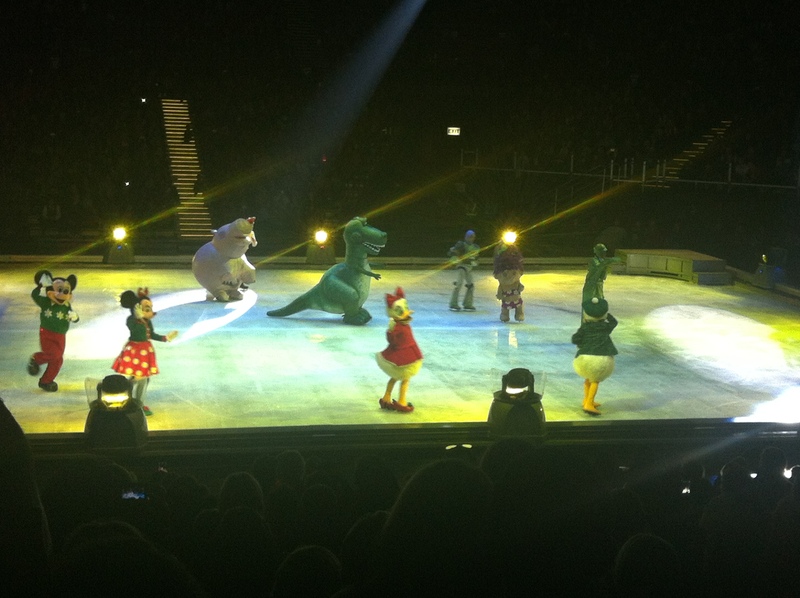 So the next thing we did was Disney on Ice. Again, another spectacular experience. It was a 2 hour show, but it felt like 30 minutes – it was that good. I was (we all were!) sad and disappointed when it ended. It was one of those shows that completely captivates you and swallows you in. Mickey, Minnie, Donald, Goofy, Pluto and all the favourites, TinkerBell, Peter Pan, Snow White, Belle and all the princesses, and later even Toy Story. The costumes were magnificent. The tickets were a bit pricy but it was clear that so much practice and much more effort had gone into putting that show together. I would highly recommend it to everyone. The minions and I were beaming from ear to ear when we left. It’s such a feel good feeling. 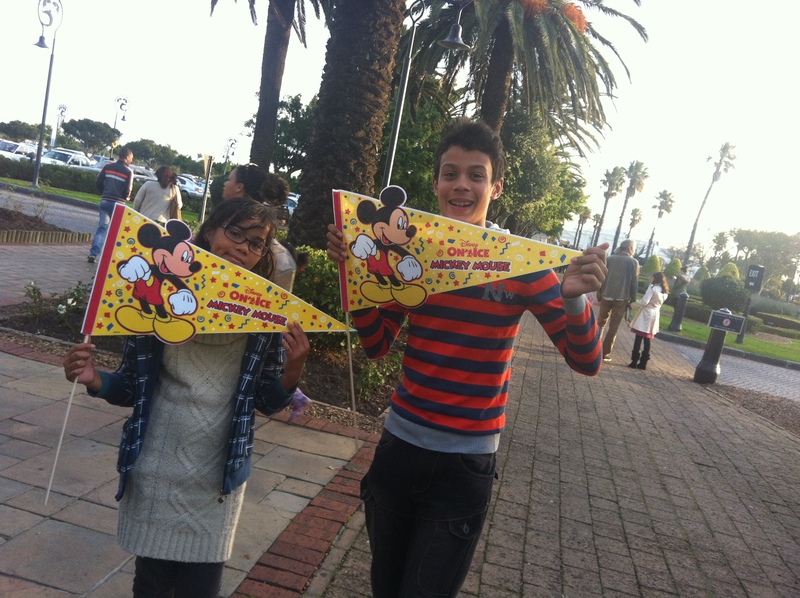 If watching Disney on Ice had that effect, I can only imagine what it must feel like to actually visit Disneyland! Look at these amazing costumes! And just to think there is a skater inside the Rex and Ham costume too! 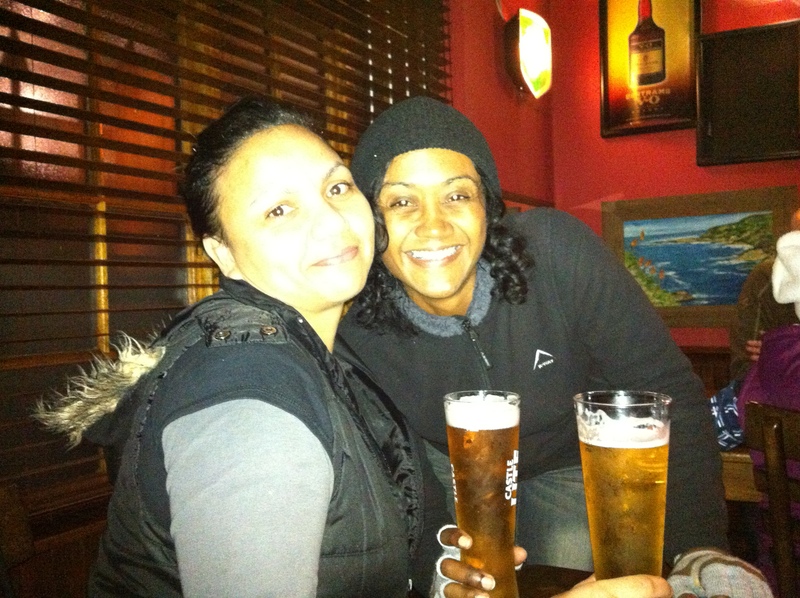 So then the big one….The night we got back from Knysna, I finished my Proposal and I submitted the draft to Prof! Whooop WHOOOOOP. That’s an amazing feeling, I am well and truly on my way to being a Doctor now:) I am waiting on his feedback. I am actually preparing myself for the worst. 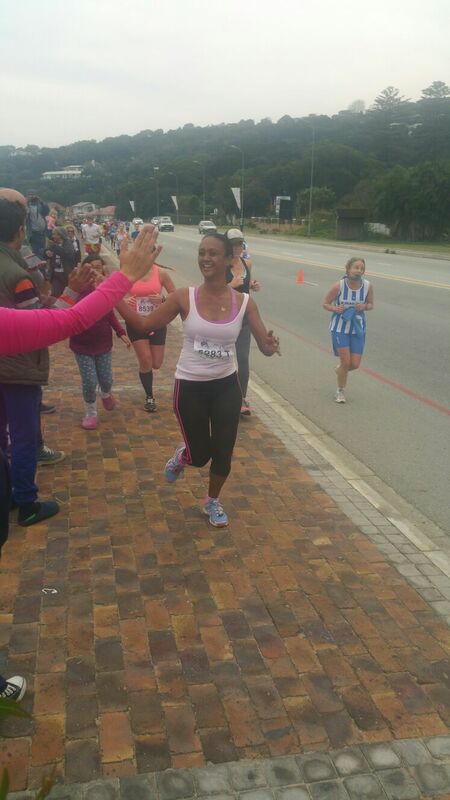 But I have done my bit. Whatever he says I will say thank you, make the changes and grow stronger with every iteration. Come winter cold or rain but students soldier on. When the weather is bad people tend to want to stay indoors and relax. Hot chocolate and movies under the covers and listen to the rain beat down outside. But Harvard research has indicated that although some people stop working, most are more productive. This, because the weather outside is bad, too rainy or cold to be enjoyed. 1) Hot tea or coffee but be careful of too much sugar. Tea is better than coffee because it contains less caffeine and contains natural antioxidants. 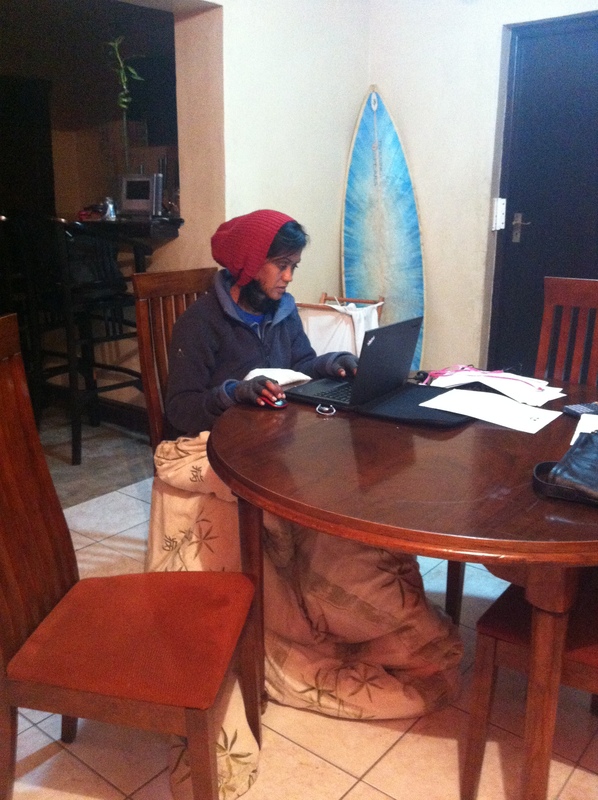 2) Layers of clothes, blankets, beanies, scarves, finger-less gloves (for typing:)). This is much better than a heater, which dries out the air leaves you vulnerable to getting infections. 3) When the weather clears up – even just a little bit, take a break and get outside for some vitamin D. Very important. Never underestimate the vital requirement of sunshine. When it’s available, grab it!